in conversation – 50 minutes into programme approx. You’ll have to pay to download it – £2! Programme title: “…Sings Disney Songs”. Mattt sings “When You Wish Upon a Sstar”. Bay FM is a community radio station, i.e. no adverts, non profit making and run by volunteers and has just been granted a licence. Come and join me! Nigel Colman is to tell The Matt Monro Story this Sunday April 15th, Ashcroft Theatre (click on Meetings and Other Activities) in Croydon at 3pm. (13 Chart records) Portrait of My Love, Born Free, My Kind of Girl, Softly as I leave You, Walk Away, Yesterday, From Russia with Love etc. With sound extracts. Friday 10th February, BBC Radio 2, 10pm: “Friday Night is Music Night”: 1982 concert conducted by Ron Goodwin and featuring Matt Monro singing ‘On Days Like These’, ‘Born Free’and ‘From Russia With Love’. Matt Monro soundtrack to bbc slide show – Stunning Stourhead; Matt singing “The Autumn Leaves” at the end of a stunning autumn colours slide show. ‘On Days Like These’ interrupted with “inane comments”. On the Feedback programme on BBC Radio 4, 27 minutes into programme a listener criticises Terry Wogan’s successor Chris Evans for interrrupting Matt Monro’s record ‘On Days Like These’ with “inane comments”. I was on holiday so a slightly late message: the transmission date for THE MAN WITH THE GOLDEN VOICE has changed to 21st October at 9pm (repeated 1.45am) on BBC Four. It will be on BBC Two at some point later on, too. Of course I will keep you posted. It was an excellent hour-long documentary charting Monro’s life and career, accompanied by archive footage, interviews with Don Black, John Barry, Sir George Martin and Monro’s family. But most of it was also accompanied by Barry’s music from The Beyondness of Things & The Specialist – or was it Playing By Heart? Anyway, very moody JB, just right for the tone of the programme. It was on the BBC’s digital only channel, BBC4, but well worth a look when it appears elsewhere around the globe. Neil Pearson narrates a documentary telling the story of Matt Monro, the young Londoner born Terry Parsons who became one of the world’s most popular ballad singers. 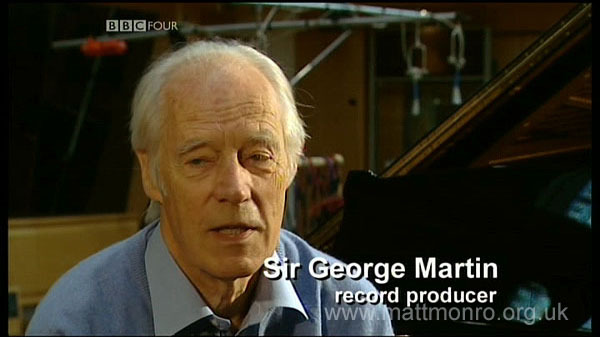 Contributors include Paul Gambaccini, Don Black, George Martin, John Barry and Monro’s family. Portrait of My Love: A Matt Monro Tribute. 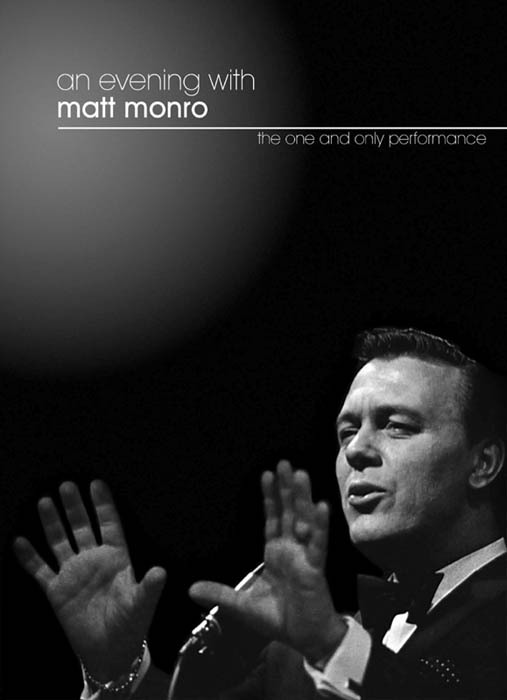 Live from London’s Mermaid Theatre, Portrait of My Love: A Matt Monro Tribute. 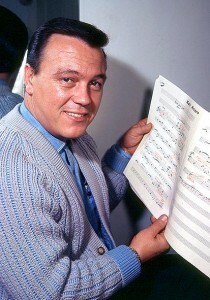 Matt Monro would have been 80 this year and it is also the 50th anniversary of the release of Portrait of My Love. To celebrate, Darius Campbell, Ryan Malloy, Graham Bickley and Stephen Triffit sing some of his hits, including Born Free, Walk Away, Michelle and Softly As I Leave You. Richard Balcombe conducts the BBC Concert Orchestra and Paul Gambaccini hosts. Tune in to radio tircoed on Tuesday September 28, between 11am and 2pm for a special tribute show to Matt as they take a look back at his life and play loads of his music 11am British time. 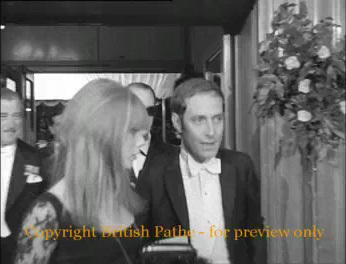 Here is fascinating footage of the stars (including composer John Barry and then wife Jane Birkin) and the royal party from the Royal Premiere of Born Free in 1966. 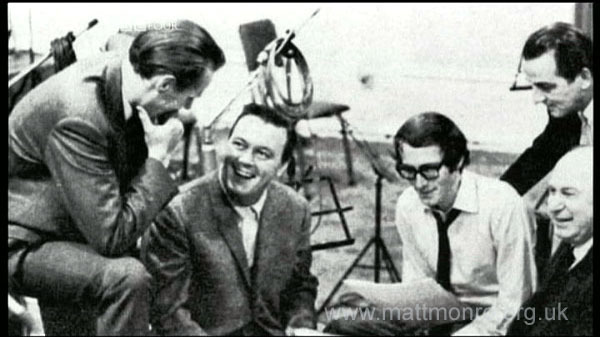 This will puzzle anybody who has read Michele Monro’s Matt Monro biography since it is stated therein that of the Born Free song crew, only Matt turned up and had to alert Don & John that the song was omitted from that print!! 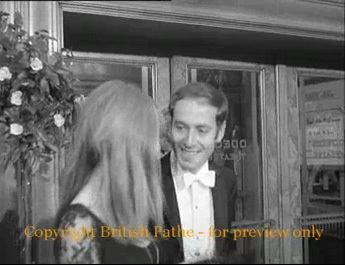 In fact, we had proof that John Barry was at the premiere for years as a photo featured in the books “John Barry – A Life In Music” and “John Barry – The Man With The Midas Touch”. Michele Monro will be reading extracts from and signing her book on Matt in the Pitshanger Bookshop, 141 Pitshanger Lane, Ealing, London W5 on 19th May. The half hour feature will be included from 20:15 BST (Programme starts at 19.00). Your can hear the full programme “Unforgettable” via the BBC iPlayer http://www.bbc.co.uk/programmes/p001d7pd and listen again for a full 7 days. Sara Palmer presents the Morning Show on the BBC in Jersey and shall be chatting with Michele Monro (Matt’s daughter) about her book about her father. Michele will be on the show on Monday morning, 22 February, around 10.15 if anyone wanted to listen live on the internet – or catch it on listen again. Save Abbey Road Studios from property developers! Save Abbey Road Studios from property developers is a group for those that believe it would be tragic to allow Abbey Road Studios to be bought by property developers. On their Facebook site they say: “Join us in finding a way to save the historic Abbey Road Studios from being sold to property developers.We want to keep the studios operating as a recording facility for future generations. 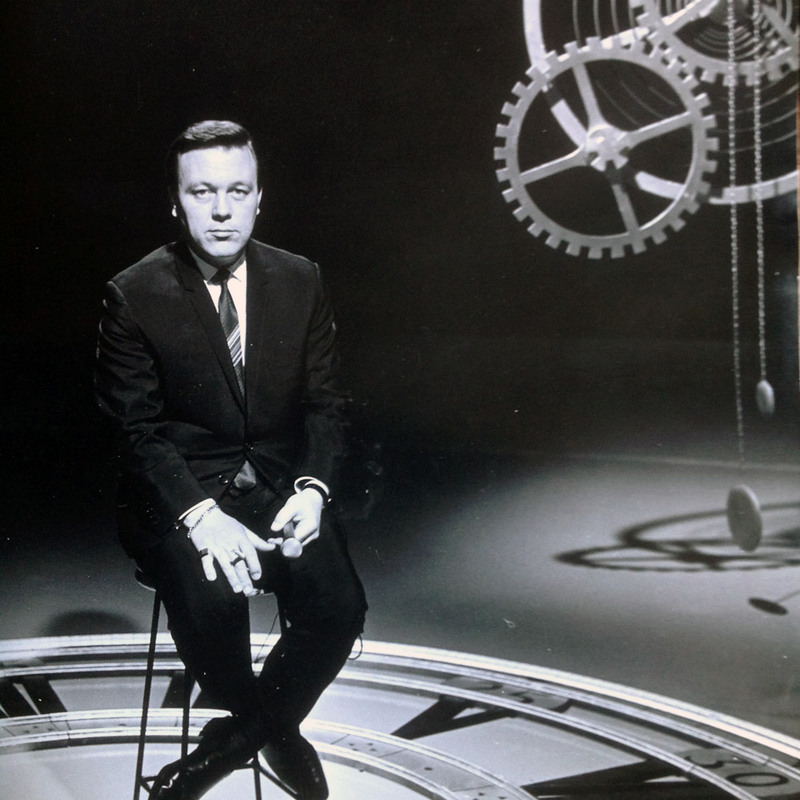 This Sunday – FEBRUARY 7 – John is presenting a 2-hour MATT MONRO SPECIAL on the actual day of the 25th anniversary of his death, 2 – 4pm. It’s a celebration of his life and will feature his widow Mickie, daughter Michele and son Matt Junior plus hit songwriter Don Black and Matt’s original musical director Colin Keyes. 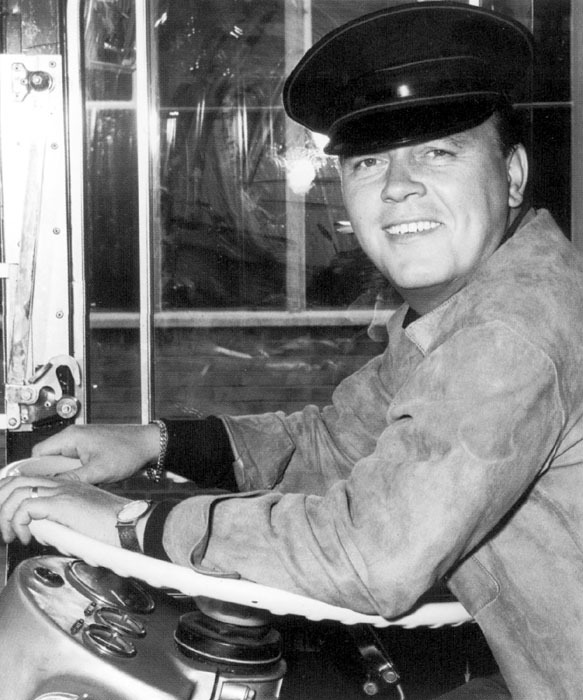 A Hannam archive features part of an interview recorded with Matt Monro at Sandown Pavilion in the early 80s. Many of Matt’s most popular recordings will be played. Mike Mclean writes to us: – I’m delighted to say that Matt’s daughter, Michele, has agreed to guest on my radio show, The Vinyl Frontier, on Sunday, February 7, 2010, 25 years to the day since her dad died. She will be talking about the new biography, the commemorative CD releases, and her dad’s life and times, and of course, it will be liberally sprinkled with examples of Matt’s wonderful recordings. The Vinyl Frontier can be heard on Your Radio, 103 and 106.9FM in the west of Scotland, or on-line at yourradiofm.com (click on listen live – top right of the screen on the home page). 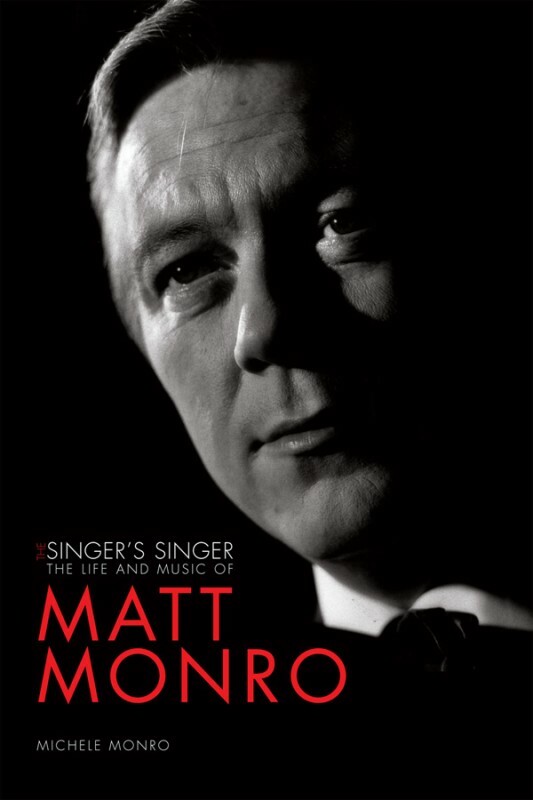 Titan Books Ltd is releasing Michele Monro’s biography of her father: The Singer’s Singer: The Life and Music of Matt Monro. 656 pages, 29 January 2010. The start of a new year will see two new Matt Monro CD releases, marking the 25th anniversary of his death. EMI will issue “The Greatest“, featuring 25 of his best-known recordings, and their budget label EMI Gold will issue an impressive box-set, “The Singles Collection“, containing both sides of every single (45) released. This ranges from his early days on Decca and Fontana through to his lengthy career with EMI/Capitol. Would you believe it? It’s that time of year again. 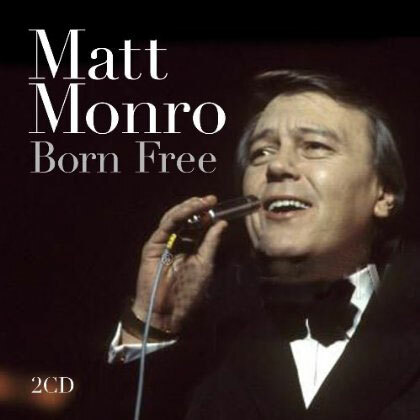 A new Matt Monro album: Matt Monro Born Free. Bottom of the discography page. Titan Books will publish Michele Monro’s biography of her father, “The Singer’s Singer”, in early 2010, according to a report on the internet. We would like to thank Horace Ward for the wonderful colour photo of Matt he provided. This dates back to Horace’s time as a show business photographer when he took many similar photos of the stars of that era. The photo will now take pride of place on our home page! Thanks again, Horace. Package contains CD and DVD. 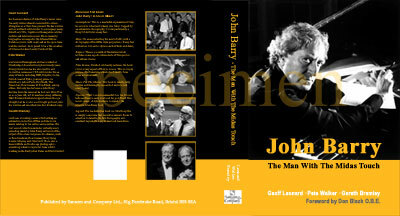 John Barry – The Man With the Midas Touch” is now available. The book will be available from high street bookshops and the usual online (film-music) stores. Or order now: please visit this page. 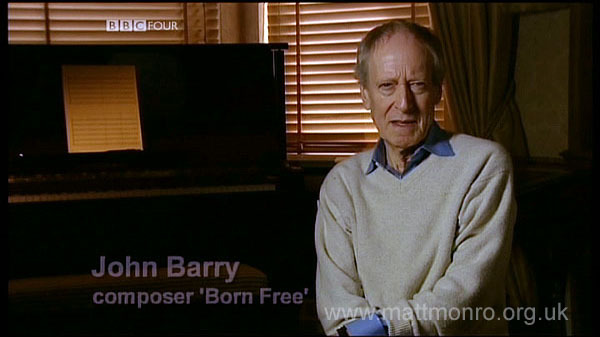 Five-time Oscar-winner John Barry is the UK’s premier composer of film music, having written for more than one hundred films. 2007 marks his 50th year in the music business, in a career which has progressed from leading a pop group to becoming a multiple award-winning composer. This should be recognised with the top honour by the country of his birth. Stage and Screen Online has been created by Tommy Pearson and Edward Seckerson, to continue delivering high-quality, in-depth interviews and knowledgeable reviews that were the mainstay of their popular BBC Radio show, Stage and Screen. Both are well-known and respected broadcasters on their subjects; Pearson on film music, Seckerson on musical theatre. S&S Online presents the opportunity to deliver specialist interviews to a worldwide audience – interviews that cannot be heard anywhere else. 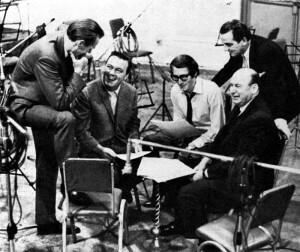 A Touch Of Class (Compact Disc) – NRAS005 When Matt Monro Met Nelson Riddle The 1967 Classic BBC Concert is sold out. The Showtime Cable network homepage is the source for any further updates. Matt’s American fans may be pleased to know that the American cable network, Showtime and two affiliate channels will air Pop Gear within the next few weeks. Matt performs Walk Away, For Mama, and the closing theme song. I’ve wondered if the lady with him in the video for Walk Away was his wife, Mickey. But, in the meantime, the film should be a marvelous nostalgia trip for those who remember 1964. A new Petula Clark album has been releases, “Duets”, on which she sings duets with other famous performers, among whom Matt Monro. 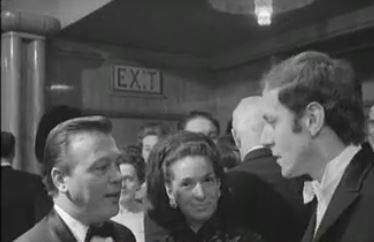 The duet with Matt is called “Fancy Meeting You Here” from a TV show in the 60’s. Another two CDs, available from late March and April are: “Complete Hits” (EMI) and “En Espana//Grandes Exitos En Espanol” (EMI Gold). For track listing, see the discography, bottom of page. Songs: That Old Feeling/ Gone with the Wind/ You Always Hurt the One You Love/ Once in a While/ Memories of You/ A Cottage for Sale/ *Ev’rybody Falls in Love with Someone/ Do You Ever Think of Me? / What Can I Say After I Say I’m Sorry? / Dancing with Tears in My Eyes/ *Out of Sight, Out of Mind/ I Cried For You (Now It’s Your Turn to Cry over Me). Original LP plus 2 extra tracks* Out Of Sight Out Of Mind, Decca F10816 11/1956 and Gone With The Wind, Decca F10839, 1957. Blue And Sentimental (10″), Decca LF 1276, 04/1957. This was Matt’s first LP and what a classy set it was. Over 50 years later the recordings and arrangements have stood the test of time and are evidence of the early promise that was to blossom into international appeal only a few years later. This is a most welcome addition to CD and one that collectors will not want to miss. Musical director, Malcolm Lockyer. Running time approx 31 minutes. Every Sunday at from 1pm until 3pm – Britain’s longest running non-stop radio chat show. TV and movie actor RUTH GEMMELL – who starred in the movie Fever Pitch with Colin Firth. Her TV series include Band of Gold, Waking the Dead, Frost, Five Days and Silent Witness. 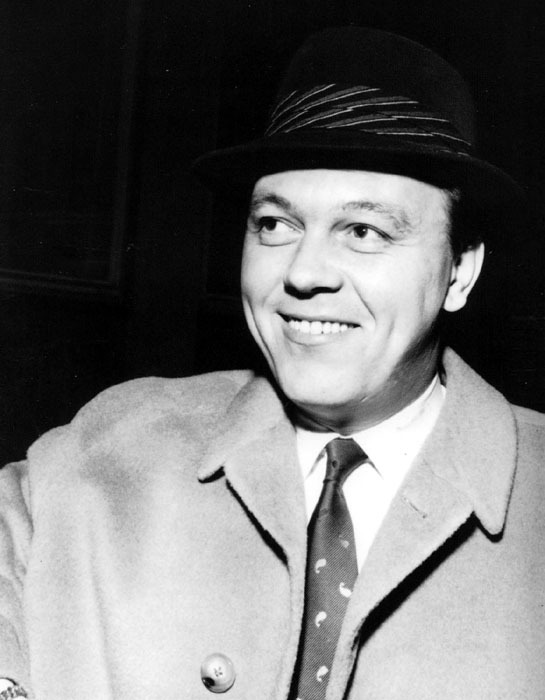 The Hannam Archive features an interview with MATT MONRO never heard in public before. 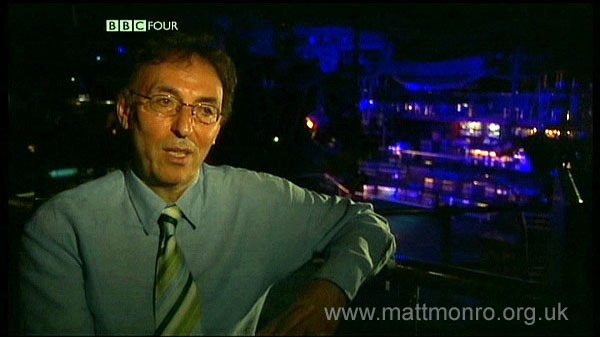 The interview was recorded in the 80s on the Isle of Wight. EMI have just released a new CD of Matt’s for Valentine and Mother’s Day. It was primarily recorded for the notes for a newspaper interview. The interview has been cleaned up, the levels adjusted and some of Matt’s records have been put in and around it. 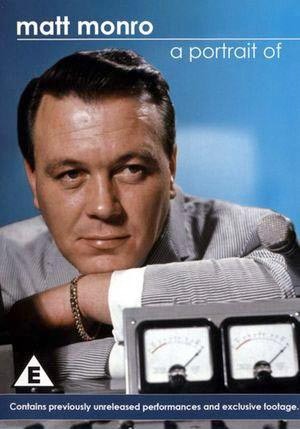 Peter Taylor, Presenter at Radio Logan 101FM informs us that he will do a radio tribute to Matt Monro on Monday 15th January 2007, (at about) 1:35 – 1:40pm Australian Eastern Standard Time. Also on the day I will be giving away (to one of our members or subscribers) a Matt Monroe CD. I trust that I will do the great man justice. Community Radio Logan 101FM is located in Logan City, South East Queensland, in the Land of Oz and have a broad listening audience in the SEQld area. Two’s Company is a stunning album of duets old and new and brings Cliff together with artists as diverse as Elton John, Daniel O’Donnell, Dionne Warwick, Barry Gibb, Anne Murray and G4. 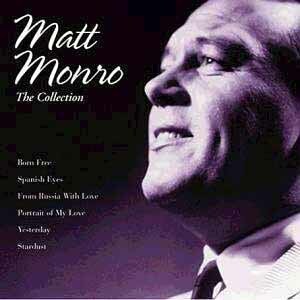 The late Matt Monro also features here in a beautiful version of the classic standard Let There Be Love (audio stream). Featuring 14 peerless collaborations, Two’s Company also features a first time pairing with Brian May and Brian Bennett (Shadows drummer). “Duets are special. I’ve never got used to hearing my own recorded voice, so it’s hard to describe what I feel when I hear myself duetting with a voice I’ve always loved listening to. You’ll know all the artists who agreed to sing with me and I hope that together we’ll give you many happy musical hours! The Cliff & Matt duet will appear on Cliff’s duet album provisionally out on November 6th – Two’s Company. You can hear a soundbite of the track on www.cliffrichard.org under Gallery – Sound. I like it, think they gel well together. See what you think! 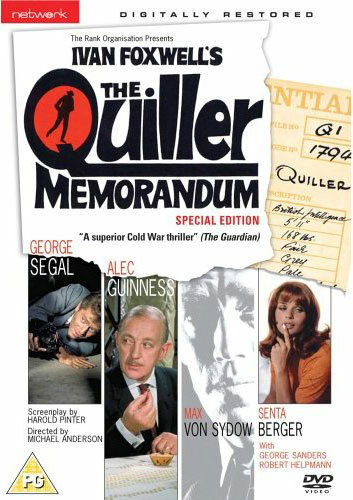 The Quiller Memorandum – Special Edition, region 2. Out since 8 May 2006. 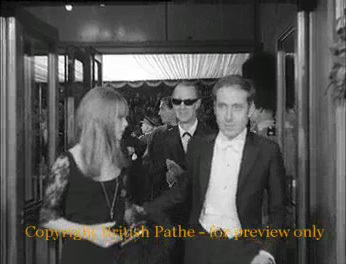 Matt’s song “Wednesday’s Child”, composed by John Barry, lyrics Mac David, is heard on a radio in the film. 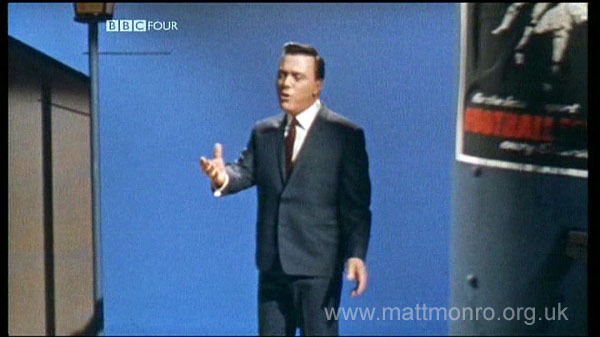 The Matt Monro documentary is due to be repeated on Sat 26/08 at 7pm BBC4. And at 12.30 a.m. the following morning, Sat 27. CD “The Rare Monro” to be released on 04 September, 2006, EMI Gold. Satan’s Harvest: Cutter Murdock (George Montgomery) inherits a farm estate in South Africa on which ‘Satan’s Harvest’ (cannabis and marijuana) is being grown. 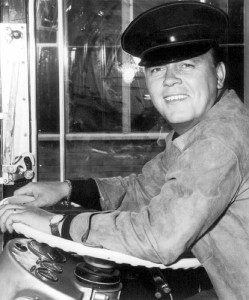 Along with Marla (Tippi Hedren) and Bates (Matt Monro), Cutter tries to force the drug dealers off his land…. 9. Teach Me Tonight (with Marion Montgomery). Cliff Richard to record duet with Matt? Ms. Christine Whitehead informs us that she has heard an interview with Sir Cliff Richard, who hopes to go into the recording studio in the next week or so to record a duet with Matt for his Autumn Duets album. Apparently, it is not possible to do it with every Matt song, because of the tracking. http://www.radioweyfm.co.uk/ if you wish to hear the interview that includes a Matt song, Let There Be Love. (Approx. 30 minutes into the very entertaining Sir Cliff interview). New CD to be released on June 17, 2006: “Heart Of The Man”. For track listing, see the discography, bottom of page. 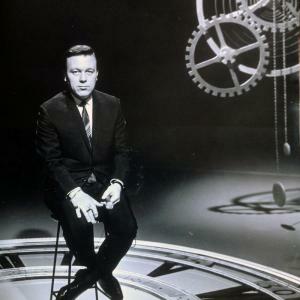 “Matt Monro – The Man With The Golden Voice” will be showing on BBC 2 on Monday 12th June at 7:00pm! 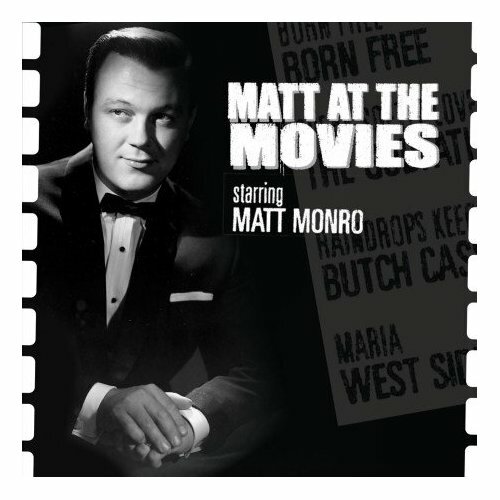 mattmonro.com announces the release of the CD of the Lost Concert of Matt and Nelson Riddle. Added to the discography: the 2000 Reader’s Digest CD Yesterdays (3CD), with track listing. Mr. Bill Walker has kindly sent us photos and a newspaper article of Matt meeting with the Royal Inniskilling Dragoons at the base in Sek Kong, New Territories. And archive page. For clarity, this repeat begins at Midnight on 31st December / 1st January – which ever way you prefer it. Added: two sheet music covers. “Walk Away” through the discography page and “Fools Rush In” through the lyrics page. These are cover pages only. Our thanks to Paul Ruderham for submitting. 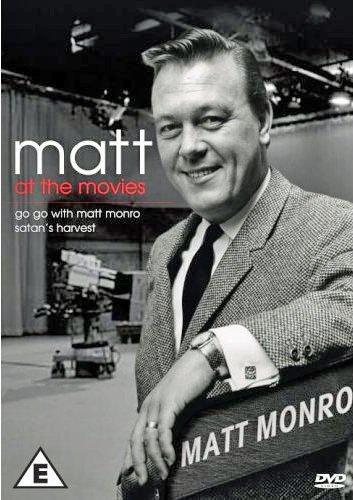 Available on dvd: “Matt Monro – A Portrait Of”, Region 0, release date: September 26, 2005, Odeon Entertainment. Friday 14th October on BBC4 (TV), 9.30pm. A documentary about Matt Monro entitled “The Man With The Golden Voice”. Natasha Kaplinsky presents as some of the biggest names in popular music perform for an evening dedicated to the kings and queens of cool. Andy Williams, Jamie Cullum, Katie Melua, Simply Red, Tony Christie, Lucie Silvas, Paul Anka and the cast of the Rat Pack musical perform classic songs made famous by Frank Sinatra, Dean Martin, Dusty Springfield, Ella Fitzgerald and many more. Stars such as Dionne Warwick, Tony Bennett and Michael Buble explain why this era and its music was so special. I assume this will contain the Monro clip. Kenny Clayton releases tribute to Petula Clark and Matt Monro. Kenny Clayton is releasing a tribute to Petula Clark and Matt Monro that is scheduled to be released on November 21st, 2005. The new album that Kenny has recorded is a heartfelt tribute to Petula Clark and Matt Monro. The album is entitled: “Kenny Clayton Plays Tribute to Petula Clark and Matt Monro – My Pet Sounds / A Portrait Of Matt“. The catalogue number is: KENCC CD001. The album is now available to pre-order from Dress Circle . The album was recorded at the start of August – the finished product sounds amazing with Kenny at a grand boudoir piano playing the timeless music of both Matt and Petula. Kenny was Matt’s musical director between 1967 and 1969 and has been Petula’s MD since 1962. The CD comes complete with extensive liner notes featuring photos of Kenny with Petula and Matt. Kenny has also written a small tribute to Petula and Matt that is featured on the back of the CD booklet. Tim Hutton writes: After long conversations with Kenny we decided that the time was right to release a properly produced CD of Kenny playing piano of songs made famous by Petula Clark and Matt Monro. The first song to be recorded that day was “A Portrait Of My Love” which reduced Kenny to tears as he has such wonderful memories of working with Matt. He misses Matt very much. Kenny arrived at the studio with no sheet music and played straight from the heart – the sound engineer commented that day that a pianist of Kenny’s calibre is extremely rare. Recently Kenny was thrilled to find that the Matt DVD “One Voice” featured himself as Matt’s MD. What a find! The Petula songs featured on the album are very much part of what Kenny does today and has been doing since 1962. Currently Kenny is in America with Petula and Andy Williams at the Moon River Theatre performing in a series nightly concerts for 6 weeks. 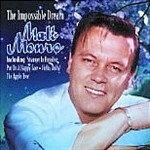 New album released on 18 July: The Impossible Dream. More details on the discography page . 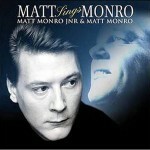 Album “Matt Sings Monro” to be released on 8 August. Same content as May 5, 1995 release? 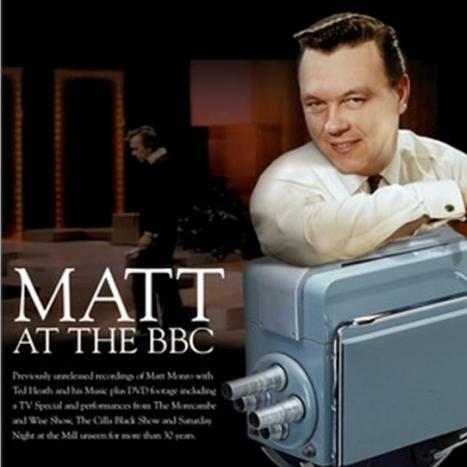 Monday, 31 October 2005 “Matt Monro Jnr sings Matt Monro”. Matt Monro Jnr at the Wyvern Theatre, Swindon. Ticketmaster website gives as time: 19:30. Information about more Matt Monro Junior Concerts can be found here. 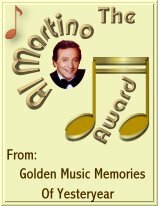 mattmonro.org.uk cannot be held responsible for any inaccuracies or changes. Always check dates and venues yourself. Michele Monro has announced in the discussion forum that the official Matt Monro website http://www.mattmonro.com will be launched at July 1. Good luck everyone. News is filtering through about the possibility of a new television documentary being made on Matt’s life and career. If it goes ahead it should include contributions from his former colleagues and his family. More information as and when it is to hand. Many thanks for all the entries! We received only ten all-correct answers and a draw was made to decide on the six lucky winners. BIG advert for the Matt CD on ITV. Focussing on the “perfect gift for Mother’s day”, it included footage of him singing. Maybe from the forthcoming DVD? Matt has the “Artist of the week” slot on Ed Stewarts programme on B.B.C. Radio 2, Sunday Febr. 6, at 5pm (local time), an with equests from listeners. VHS edition;The DVD will be region 0, so it will be region free and sold worldwide. 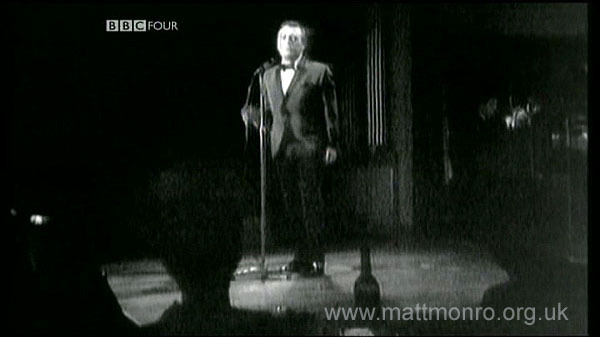 The only filmed, live performance of the legendary British singer Matt Monro, has been found nearly forty years after its recording. Two unopened film reels were discovered by Matt’s widow Mickie, and his daughter Michele, in the family garage. Read more here and join our competition. Michele Monro was interviewed on BBC Radio2 by Steve Wright, promoting “The Ultimate Matt Monro”. 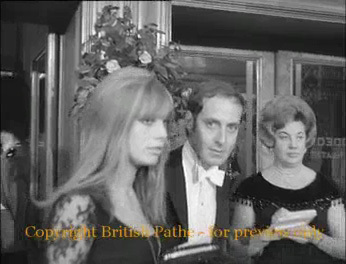 Also mentioned briefly was the upcoming dvd and the fact that she runs the Matt Monro fanclub. Thank you very much for the award and we hope that this will give Matt even more recognition. DVD presentation package to mark the twentieth anniversary of Matt’s death. Odeon Entertainment Ltd. is an entertainment company that is planning a DVD presentation package to mark the twentieth anniversary of Matt’s death next year. Odeon Entertainment would like to come into contact with people have any personal recollections, stories, memorabilia, footage, or rare photos of Matt that could be used in this documentary. 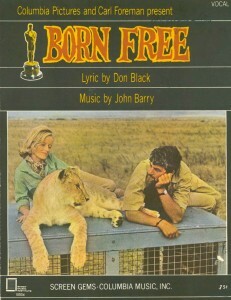 A reader of www.filmscoremonthly.com has posted in one of it’s forums that it has been revealed in the July 2004 issue of the Collector’s Choice Music Catalog that the original soundtrack of “Born Free” has been released on CD, including Matt’s song. Born Free to get CD release? 18 June 2004: Born Free – original soundtrack to get CD release? Following clues offered by Lukas Kendall on www.filmscoremonthly.com “60’s bestseller goes free”, speculation is mounting on FSM’s message-board that Born Free is their July ‘Silver’ release! New Spanish language album released, on 21 May: Super Estrellas Del Amor (CD/DVD) , Matt has seven tracks. Other artists Shirley Bassey, Demis Roussos and Jose Feliciano (see also PDF file). There was a message in our old discussion forum, referring to this website: http://www.mattmonromusic.com/ There is a link there to an order form. Please, let us know if you have more information. New CD released on March 15: For the Present/The Other Side, on the EMI label. New CD released on April 19: The Collection (2 discs), on the EMI Gold label.